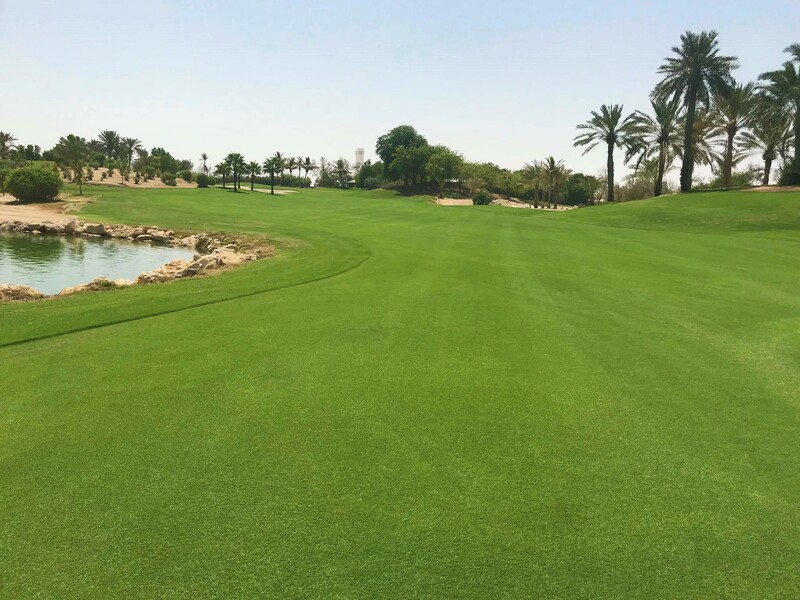 Jebel Ali Golf Resort in Dubai, United Arab Emirates featuring PurePro® Seeded Bermudagrass. (October 4, 2018) - Pure Seed and Atlas Turf International are proud to introduce PurePro® Seeded Bermudagrass, a blend of the industry’s highest performing hybrid bermudas. With the goal of delivering the ultimate playing surfaces, PurePro combines the attributes of multiple varieties to produce a fine-textured, dark green, elite blend. The advantages of PurePro are evident from the beginning. Under optimal conditions, PurePro germinates in seven to 14 days. Quick establishment of a dense, hearty turf means sports fields and golf courses can be ready for play in as few as eight to 12 weeks. With performance being key, PurePro delivers strength. The deep-rooting, dense turf is extremely traffic tolerant and meets the demands of heavy play. PurePro recovers quickly from injury. Even the most challenging conditions are no match for PurePro. The blend offers excellent salt tolerance, performing well with all types of water quality. PurePro is also drought, disease, and heat tolerant, maintaining its vigor through extreme temperatures. To further extend play and performance, PurePro delivers early spring green-up and retains color late into fall. The blend can be overseeded for year-round color and play. When temperatures rise, its aggressive growth habit allows PurePro to transition quickly out of overseeding. During its initial market release, PurePro is available in limited supplies. For more information about PurePro Seeded Bermudagrass or to inquire about availability, email info@atlasturf.com. Atlas Turf International Limited provides turf on a global scale. Specializing in the worldwide distribution of quality turfgrasses, Atlas Turf is the source for the finest certified, licensed, and genetically pure turfgrasses. Additional information about Atlas Turf can be found at www.atlasturf.com. Pure Seed is a global leader in researching, developing, producing, and bringing to market an outstanding line of proprietary turf and forage varieties that provide solutions for problems experienced by today’s turf professionals. Additional information about Pure Seed can be found at www.pureseed.com.